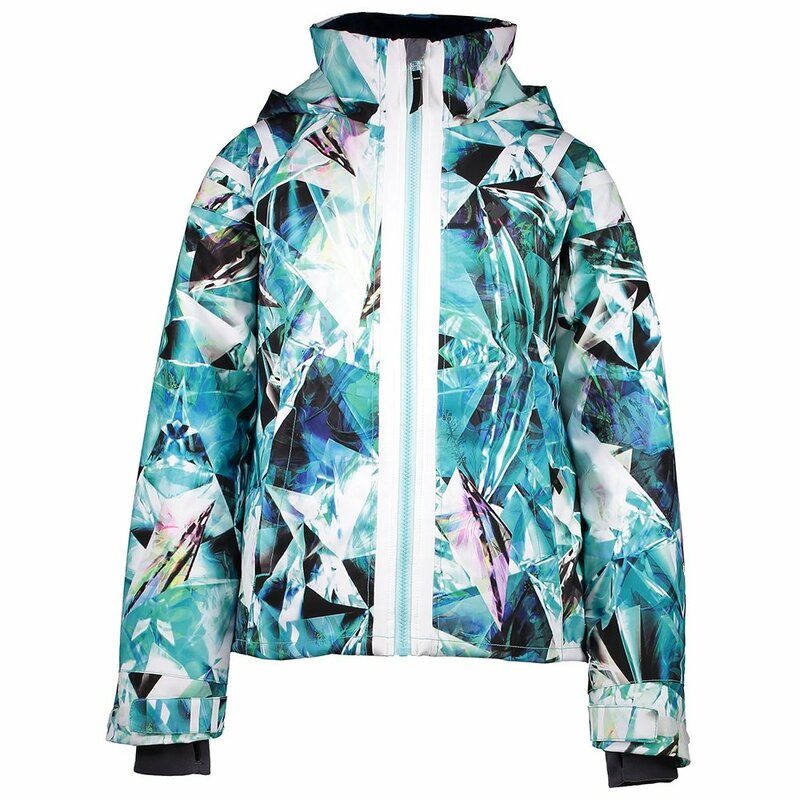 The trendy Obermeyer Taja Insulated Ski Jacket is one of the most functional, highest performance options for girls this winter. It’s designed with her comfort in mind, as evidenced by everything from the dropped back him to the fleece chin protector to the adjustable cuffs with thumbholes. Performance-wise, she can shred anywhere she wants on the hill since this girl’s ski jacket has high-tech add-ons like skier critical™ seam sealing and an integrated water-resistant powder skirt with a snap-away™ feature. Thanks to a 10K or 15K waterproofing rating, depending on design, she’ll be able to stay out and play even in snowy, heavy-snow conditions.